Have you ever done anything really, really stupid? Well, this series isn't about you. It's about other people who did really stupid things. And what happened as a result. In other words, epic fails. Entertaining illustrations are sprinkled throughout each book. Let's start by agreeing that peace is better than war. How do countries keep the peace? They have their diplomats talk! Sometimes diplomats shout and make rude hand gestures, too. In this book, you can read about diplomats making fools of themselves. You're surrounded by it. Its online, on clothes your friends wear, on blimps flying slowly over sports stadiums. You may want to get away from it. But does it work? Of course not! Read about some of the best of the worst. Lets start by agreeing that war may sometimes be necessary. Still, if you must fight a war, isn't it better to win? In this book, you can read about military commanders who wait, were they trying to lose? Why do people explore? Maybe they just have to get away from home. In this book, you can read about explorers who got lost. And explorers who made a total mess of things. Should they have stayed home? Most people think its good to have new ideas. But what if your new ideas are terrible? In this book, you can read about people who turned their ideas (not all of them completely terrible) into inventions. 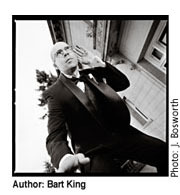 Bart King writes humorous books for younger readers and immature adults. As a longtime middle-school teacher, Bart knows how to appeal to kids with funny writing and irresistible topics. His titles have been bestsellers on Amazon, and have been translated into Chinese, Spanish, and Australian. My son actually read through these books! He thought they were funny and he said he could understand them really well. As a homeschooler, it can be difficult to get your middle school child to read anything other than fiction. These books helped my son branch off from his normal genre of book and learn some history as well! It was a fun read for an adult and could be a good supplement to a middle school social studies curriculum. I enjoyed the author's voice and sense of humor as well! 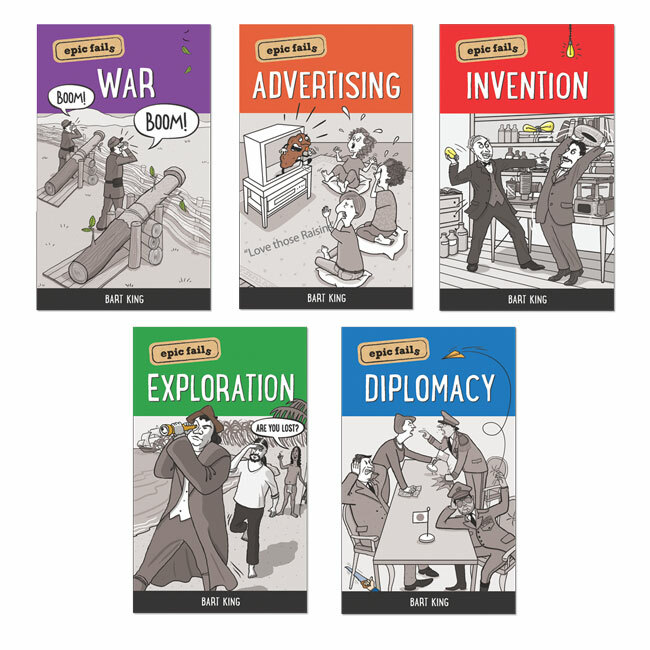 This series would be very effective for a social studies teacher that teaches thematically as opposed to the standard sequential and chronological curriculum. 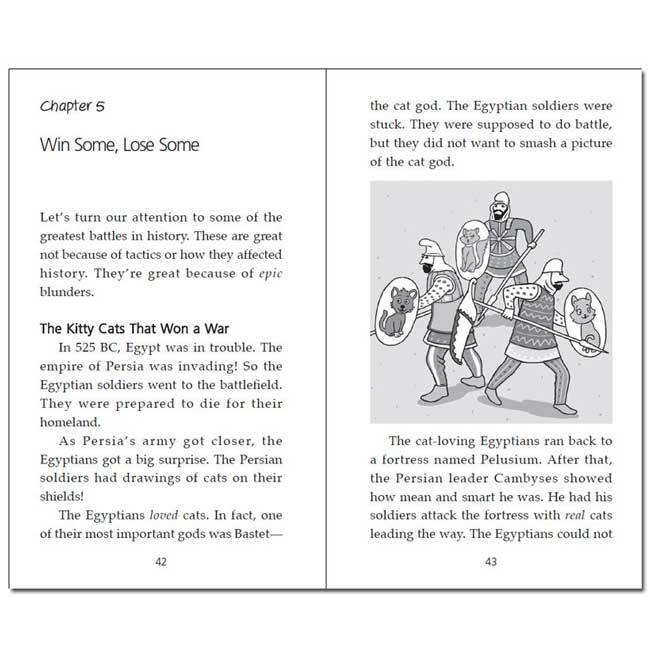 Topics such as inventions, exploration, and war are vast and these books would be an engaging introduction for children between the ages of 11 and 16 or so. I'd highly recommend this to any teacher that works with students who struggle with reading yet their verbal comprehension is high. 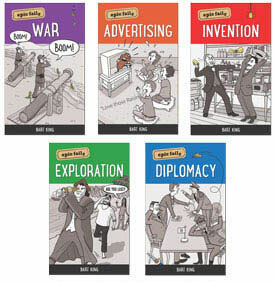 The books are fun, engaging and educational.